ITRE has a long standing history to offer different modeling and computing services. These services are supported by several deep data warehouses that ITRE has access to such as high resolution vehicles trajectory data in ITRE’s DATA lab. Modeling packages that are offered by ITRE are ranging from Highway Capacity Manual models to network based Triangle Regional Models. 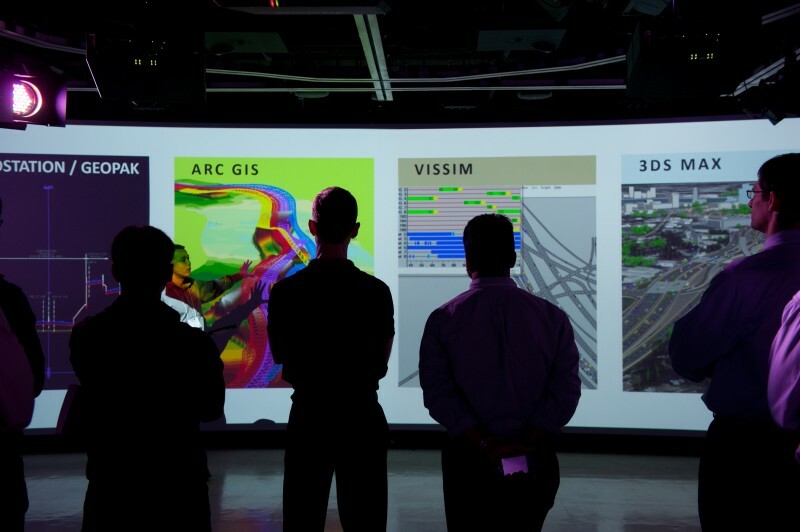 These modeling services along with microscopic simulations are used to assist transportation decision makers to better understand the problems. ITRE also provides assistance in developing a number of tools that are needed to analyze different transportation problems. Due to complexity of the methodologies, now a days using computational engines and tools are inevitable. ITRE has been centrally involved in developing tools for several national projects such as FREEVAL and STREETVAL for Highway Capacity Manual. Also, ITRE has developed necessary tools for local and state wide uses such as ARTVAL for NCDOT. 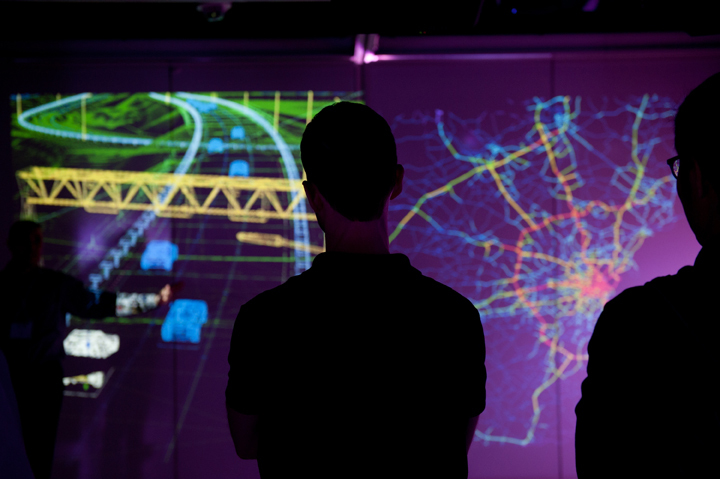 Travel behavioral data and analytics assist transportation engineers and planners in gaining insights onto the roadway network performance characteristics, and give rise to data-driven decision making. ITRE, using state of the art technologies such as i2D (intelligence to Drive) has been gathering vast amount of high resolution in-vehicle data since 2014. 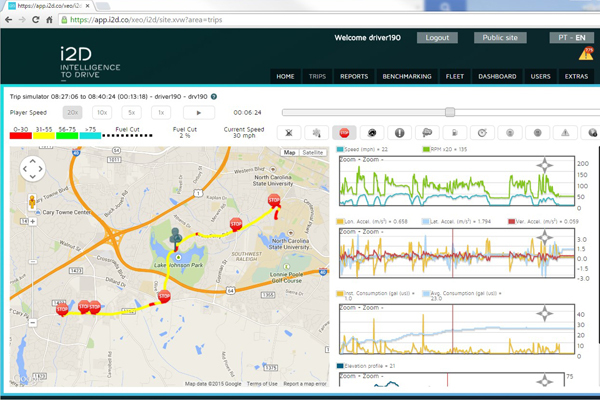 ITRE’s Driver and Transportation Analytics, or DATA lab utilizes powerful computational resources to analyze and investigate those big data. These efforts are intended to gain insights onto and address issues related to environmental, mobility and safety characteristics of our highway system. The Triangle Regional Model is a state of the practice travel demand model developed and maintained by the Travel Behavior Modeling Group and four stakeholder sponsors: NC Department of Transportation, Durham-Chapel Hill-Carrboro Metropolitan Planning Organization, Capital Area Metropolitan Planning Organization, and GoTriangle. The Triangle Regional Model is used to plan transportation investments in the Triangle region of North Carolina. Now a days with the increase in the complexity of different transportation and traffic analyses and methodologies, the need for software tools are inevitable. Moreover, by emerging different data sources that contain high resolution data that are needed to perform a number of analysis, the use of generic applications such as Excel and etc. are infeasible. ITRE has been taking the lead in developing, updating, housing and maintaining several software packages to make such analysis feasible. One main category of the software tools that ITRE has developed are HCM based computational engines. FREEVAL and STREETVAL are two main computational engines that perform Highway Capacity Manual (HCM) analysis for freeways and urban streets analyses respectively. Beside these, a number of other computational engines are developed in ITRE for more customized type of analysis. As an example, ARTVAL is a computational engine developed for NCDOT to perform work zone analysis in the arterial streets. Other instances are tools developed to assist decision maker to carry on benefit costs analysis for different transportation solutions. ITRE has also developed tools for training such as FREEVAL-DSS for training TMC operators. Transportation systems can be both physically expansive and monetarily costly, so it is often not feasible to build prototypes for experiments. Instead, computer programs are used to build macroscopic, mesoscopic, and microscopic models to simulate transportation systems. Macroscopic models use observed relationships between environmental characteristics (travel lane widths, boarding and alighting times, etc.) to predict measures such as delay. Mesoscopic models use a finer detail (e.g. all the freeways and major arterials in a city) and consider a vehicle’s position each second during simulation to predict events such a traffic rerouting during long-term construction. Most detailed and data-intensive, vehicles or pedestrians in microscopic models interact with others around them. This type of modeling can be used to simulate fans leaving a sporting event stadium during an emergency or ramp metering affects freeway capacity. Through simulation, ITRE assists clients in making evidence-based decisions before projects are implemented. The Highway Capacity Manual (HCM) is the most widely used reference material for different transportation and planning analyses. ITRE has been closely involved in developing and updating new versions of this manual. In addition to aiding the updating of HCM methodology, ITRE has taken the lead in developing, maintaining, and updating required computational engines (e.g. FREEVAL and STREETVAL) for the HCM. 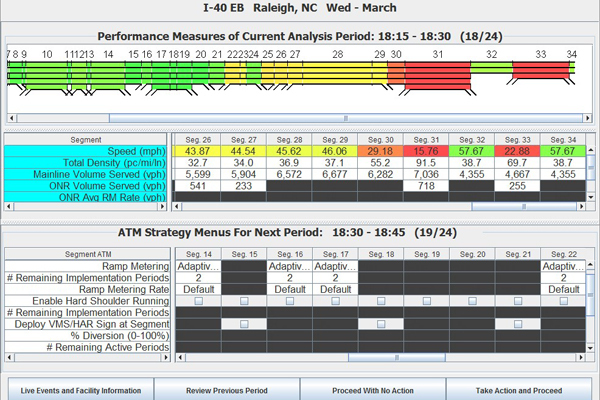 Software developed by ITRE was the first HCM-based software to include Freeway Work Zone, Managed Lane and Reliability analysis. ITRE provides training and support packages for different types of analyses within the HCM ranging from methodological consultation to modifications to the computational engines.